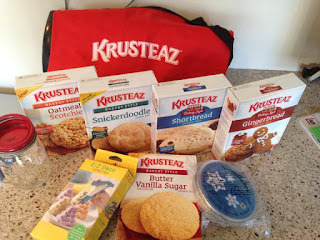 For the last month you’ve seen me post about all the fun things we’ve done with our box of Krusteaz cookie mixes. I am not usually a “mix” person- I like baking, so I think it’s pretty easy to dole out the ingredients. However, I have to admit that having the dry ingredients already measured makes my kitchen stay SO much happier. And by happier I mean cleaner. Because at this stage in my life it is rare that I get to bake anything without “help”, and my help isn’t always the tidiest with the flour. 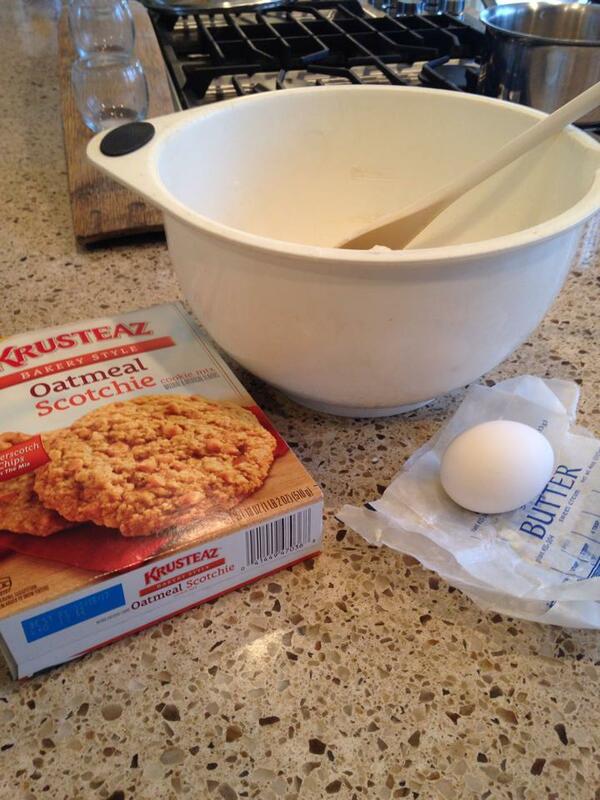 All the Krusteaz mixes require is a stick of butter and an egg. I took them to Eagle Boards of Review as a surprise to all the other parents sitting them. Oatmeal scotches were a big hit- especially since they were still warm!! And, honestly, Gingerbread requires a TON of spices and measuring, so when you’re going to spend 6 hours decorating, why do that to yourself? (PS- those are “chocolate pebbles” I purchased in Old Town Manassas). You can even give cookies as a gift. My oldest son had a “food themed” white elephant swap to go to, so we popped a mix into a mason jar with directions, included several candy add-ins, and hit the dollar store for a spatula and a turner spatula. Crushed candy canes, red and green m&ms, and we were good to go! Of course, there’s also the traditional cookie plate for neighbors! My daughter and I had a blast decorating Krusteaz sugar cookies with the powdered sugar glaze they suggest on the box. She even made a video of it! Not only did our cookies turn out GORGEOUS, but we had so much fun making them together. Sweet memories like these are so precious, and it was a snap to do with a mix ready in the pantry! Okay, so maybe mine were a little more gorgeous and hers were a little more candy-covered, but whatever, we had a blast. The people who received our treats didn’t complain, either!! 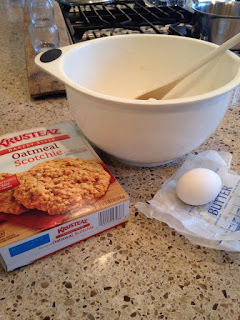 We’re getting ready for our final round of baking with Krusteaz- my son’s boy scout patrol is coming over to help me bake off the rest of the cookies to take to the local Fire Station to say “Thank You” to our first responders! This holiday season, whether you’re baking for friends, family, company, neighbors, or yourself, check out the full line of Krusteaz cookie mixes for gifting, eating, and sharing with your loved ones. Disclosure: We received several mixes from Krusteaz to try free of charge. All opinions are my own.